It may be early days in the Internet of Things, but adopters are finding success using internet-of-things (IoT) solutions to generate data insights that can enable better business decisions, improve customer experience, and provide competitive advantage. These firms are currently exploring use cases and solving challenges with integration, security, and real-time analytics, allowing them to unlock valuable insights for their business. While early momentum for IoT came from high-tech manufacturing, adopters today are coming from a variety of industries with a diverse set of use cases. From fleet management and smart parking solutions for a transportation firm to sensors that help improve monitoring during heart surgeries, the possibilities for IoT today seem endless. In January 2017, SAP commissioned Forrester Consulting to evaluate current IoT adoption trends–what firms are doing, the challenges they are facing, and the benefits they are seeing from their IoT solutions. In this study, Forrester conducted an online survey of 257 organizations that are planning to implement or have implemented IoT in the US, Brazil, Germany, and Australia to evaluate IoT capabilities, challenges, and outcomes for these early adopters. Survey participants included decision makers in IT and the business with influence over IoT strategy and solutions at their organization. The study began in January 2017 and was completed in March 2017. 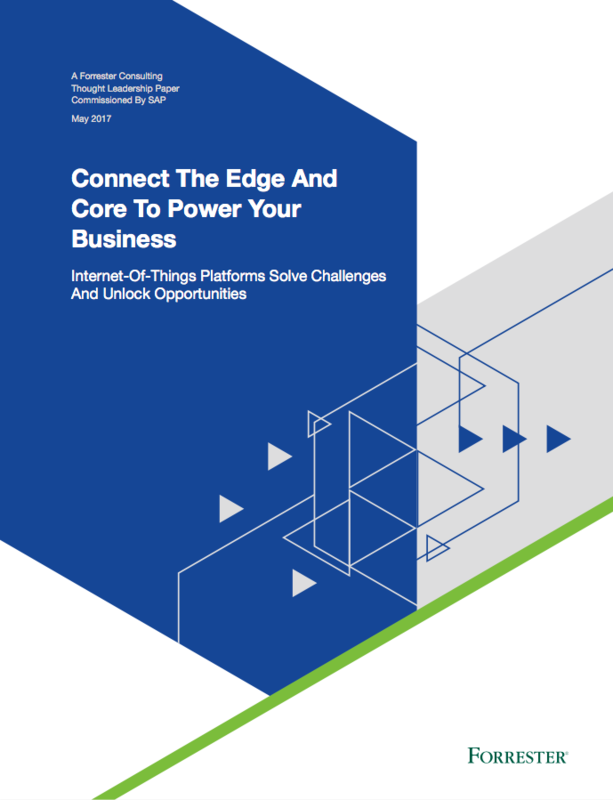 Click the following link to read the full report and be sure to come back and read about the following SAP Cloud Platform customers who are realizing the benefits of IoT today.